Most drivers at the top level in motorsport began their careers in karting, which is often a reliable indicator of the potential a youngster has. David Gruz selects the 10 hottest prospects from the 2016 season. When it comes to successful Moroccan drivers, not a lot of names come to mind – WTCC race winner Mehdi Bennani might be the only one for most. That could be set to change, however, thanks to the rapid rise of Taoufik, who became the winner of the WSK Super Masters in 2016. 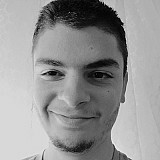 Taoufik was an impressive fourth in last year's World Championship and he managed to live up to the high expectations that came with it this year. Apart from his Super Masters crown, he was also strong in the European Championship, but was robbed of a chance to fight for the World title after retiring on the opening lap. 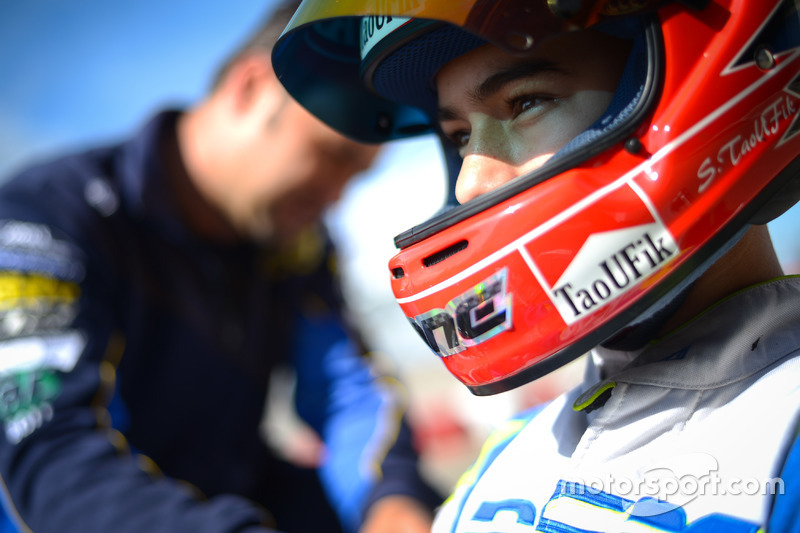 Taoufik will turn 15 in February so he will be eligible to race in F4 next year and, should he move up, he will certainly be among the most exciting karting graduates of 2017. While it’s far from unprecedented, Novalak, an unknown quantity up until that point, became one of the strongest drivers of the 2015 junior field. He won the WSK Super Masters, challenged for the European title and was best of the rest behind Logan Sargeant in the World Championship. Similarly to most of his rivals, he decided against moving up to cars as early as possible and spent 2016 in the senior OK category instead. His season was inconsistent – he had a lot more anonymous weekends than last year but still managed to show his talent on a couple of occasions. His best results came from national championships, but he also managed to be in the top 10 in the European Championship. 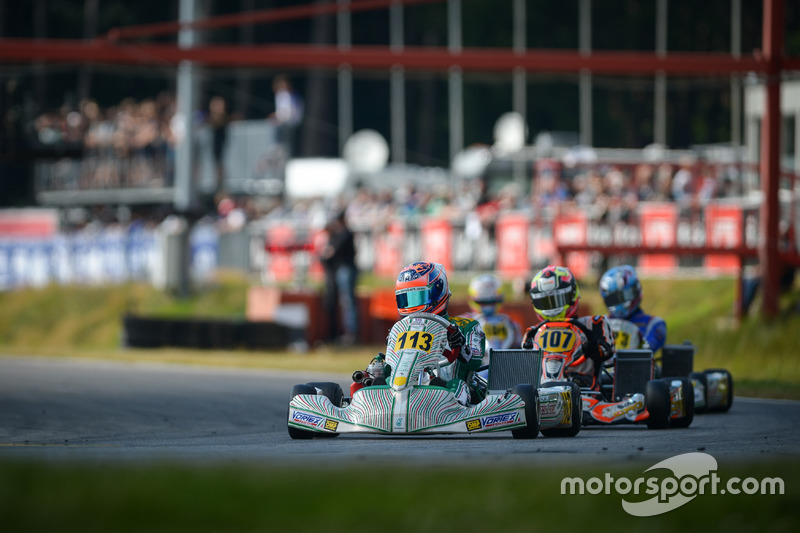 Vidales was one of the most promising karting rookies last year alongside Noah Watt, and he spent a second year on the same level but he could not grab a major title this year either. Still, not a lot separated Vidales from the other top junior drivers like Taoufik. He was constantly at the front, showing he definitely does not lack natural talent. 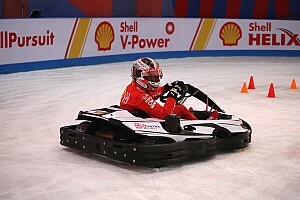 He timed his best form for the World Championship, which he dominated alongside eventual winner Victor Martins and beat everybody but the flying Frenchman to take second overall. His talent was recognised by Ferrari as well, having been invited to its Academy’s latest evaluation test. Vidales will be one of several great additions to the OK class next year, promising a major shake-up in the category. 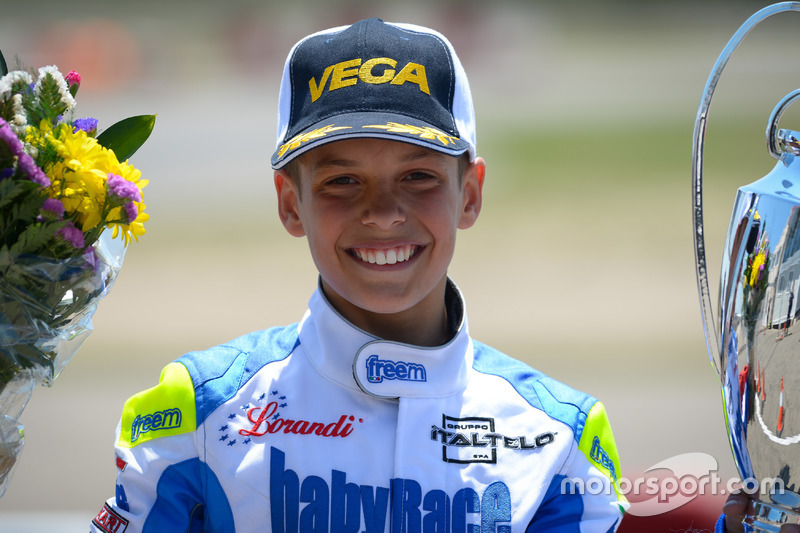 Since Lando Norris in 2013, the junior karting scene has not been not quite as rich in terms of rookies capable of winning races from the second they show up. This year was a welcome change, though, as the likes of Kiern Jewiss, Martins or Kenneally all managed to win rounds. In some ways, Kenneally was arguably even more impressive than the aforementioned drivers as he constantly challenged for victories. He completed his campaign with just a handful of poor weekends and was as good as his fellow more experienced rivals. Despite a write-off round, he still managed to take fifth in the WSK Super Masters series and then became the European champion. He was also in contention for the world title, only to drop back after some contact. Kenneally's 2017 campaign will consist of a step up to OK and a tentative first step in cars through a programme of testing. How Watt, the son of 1999 Formula 3000 runner-up Jason, failed to secure a title in 2016 remains a mystery. With quite the CV already, Watt was impressive at the age of just 13 last year and was therefore one of the favourites in 2016. After a bit of a slow start to the season, he dominated the penultimate WSK Super Masters round and was strong again in the final weekend - that shot him up to second in the standings, despite being disqualified from one of the earlier finals. He then won the first European Championship round but in the end, he also completed that championship in second place. Watt entered the World Championship as an obvious favourite, but technical issues put an end to his weekend rather early. 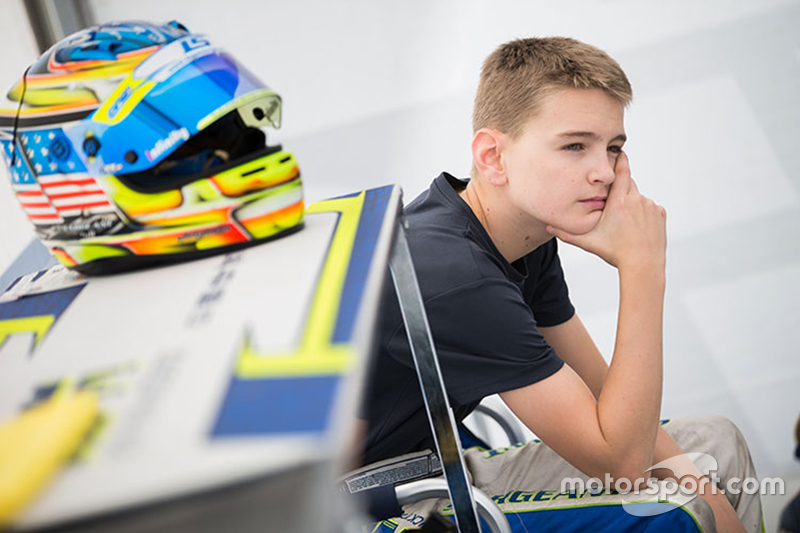 Not turning 15 until next June, Watt will not be in F4 next year, but he is looking for ways to kick-start his car racing career as soon as possible - he took part in the Ginetta Junior shootout, in which he was blindingly fast. Son of 2000 European Rally champion Henrik Lundgaard, Christian was born into a racing family. 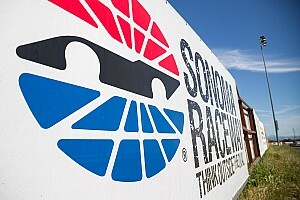 However, similarly to Carlos Sainz, his attention has turned towards circuit racing despite the obvious rallying connection. Lundgaard was Sargeant’s main rival in the junior class in 2015, the Dane becoming the European champion that year. Similarly to the American, he switched to OK for 2016 but his transition was not quite as smooth. 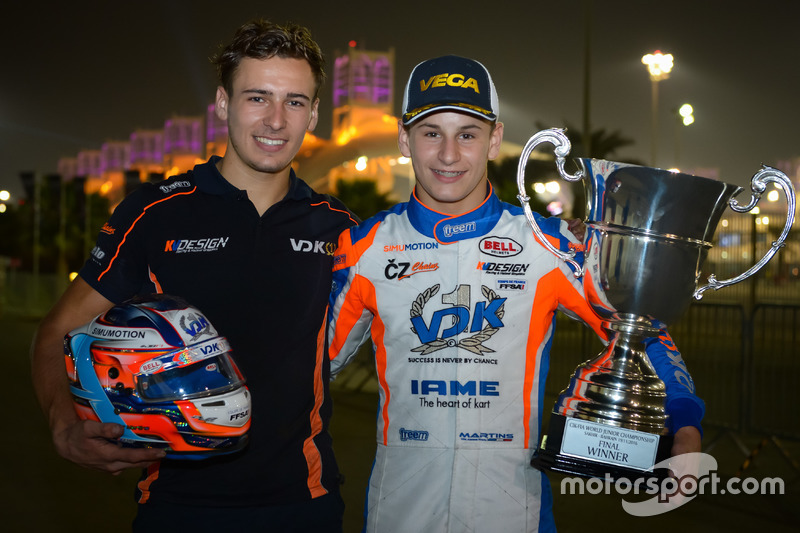 After finishing third in the WSK Champions Cup in January, Lundgaard switched to Daniel Ricciardo’s karting squad. He continued to be promising throughout the season and his big opportunity arrived during the world championship, as he was running within the top three only to end up retiring. 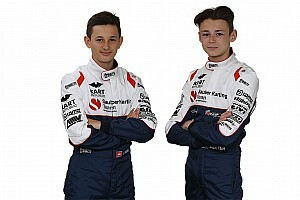 Having raced in OK this year, Lundgaard could delay his step up to single-seater by another year as he is considering spending a year in shifter karts, a direction taken by the likes of Max Verstappen and Charles Leclerc in the past. Finding women with the potential to race in F1 has been a hot topic in the past couple of years, and Garcia may be the most promising one yet. The 2015 CIK-FIA Academy Trophy winner's initial plans were to race in cars already this year, and in the end she achieved that. After some testing in the winter, she could not secure a seat and had to go back to karting. As she was already fighting for the junior European title last year, she made the obvious step up to OK and, impressively, she was one of the best. 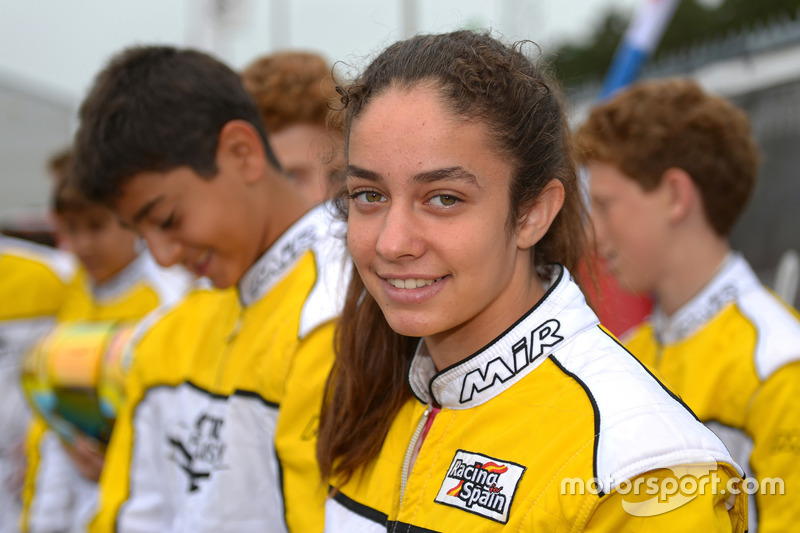 Perhaps that's what helped her in the end, but she soon finally started racing in Spanish F4. Even though she did not achieve a standout result, her progress makes her one of the potential protagonists for next year as she gears up for a full-time F4 assault in 2017. Armstrong took a different approach to reaching the European junior single-seater ladder compared to former Kiwi talents such as Mitch Evans or Richie Stanaway. 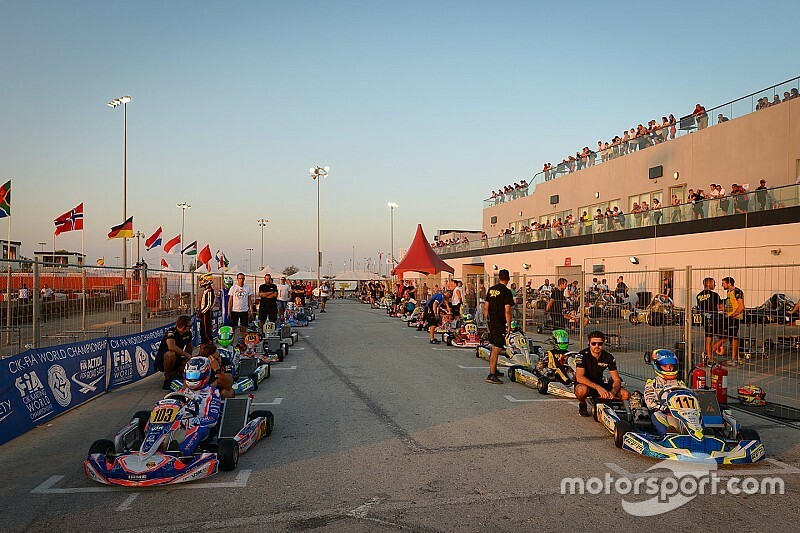 Instead of local karting and Formula Ford, Armstrong tried himself in the much more competitive European karting scene and he fared admirably well, being one of the best rookies in the senior class last year despite being just 15. He moved up to the shifter class for 2016 and, while he hasn't grabbed too many strong results, the experience gained there is usually crucial in making a successful step up to single-seaters. This was proven by the fact he was fighting for a podium finish on his debut Formula Renault 2.0 weekend. He was also present in a couple of other one-offs, but we will finally see him in a full-time campaign this winter in Toyota Racing Series. He has already been linked to the Ferrari Driver Academy but Armstrong will probably need a couple of strong results in single-seaters before he seals such a deal. 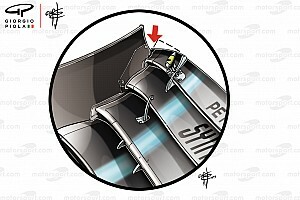 As described in Motorsport.com’s profile of Martins, the Frenchman was the discovery of 2016, having provided a number of special performances. 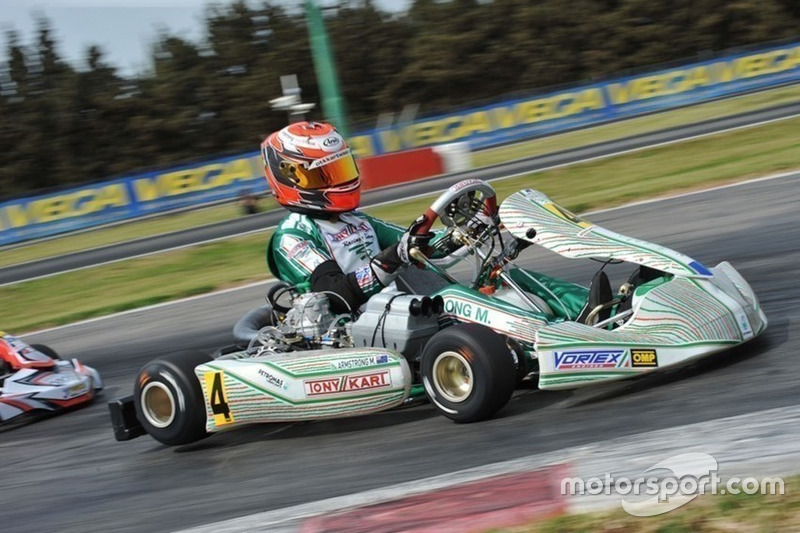 Switching from gymnastics to karting, Martins, quite remarkably, became the junior world champion in just three years. He won four pre-finals and finals in a row, a level of dominance that has not been seen at this level in a long time. Despite not showing much before the summer, Martins worked his way up to enter the world championship in November as the favourite, and he was duly crowned in the end. Perhaps most importantly, Martins, who was compared to Stoffel Vandoorne by his karting team’s boss, has already proven himself in single-seaters, having been twice third in his one French F4 round. Martins will kick off 2017 in OK while waiting for more offers from the single-seater world. Finding the next American star has been an age-old problem for F1, but the long wait could soon end thanks to Sargeant - who is slowly but surely becoming one of the brightest talents of his generation. 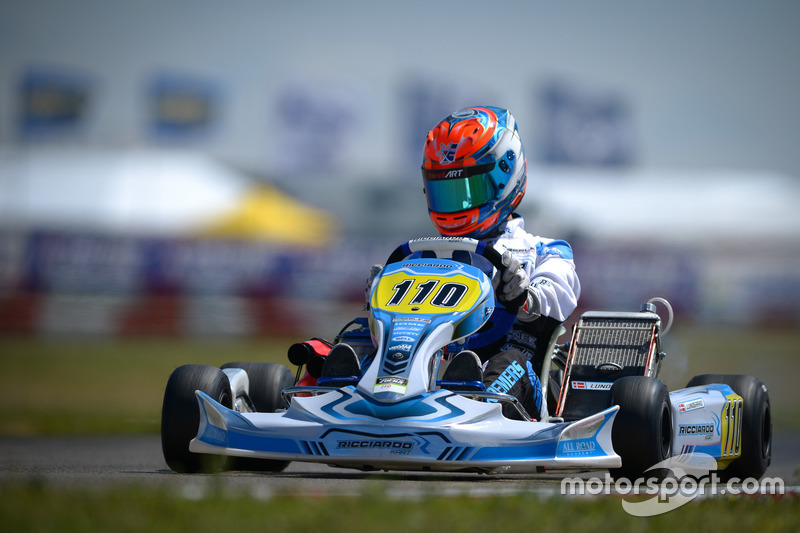 Sargeant stepped up to senior karting after amassing plenty of success at the junior level last year and, unlike most of his rivals, his transition was rather seamless. 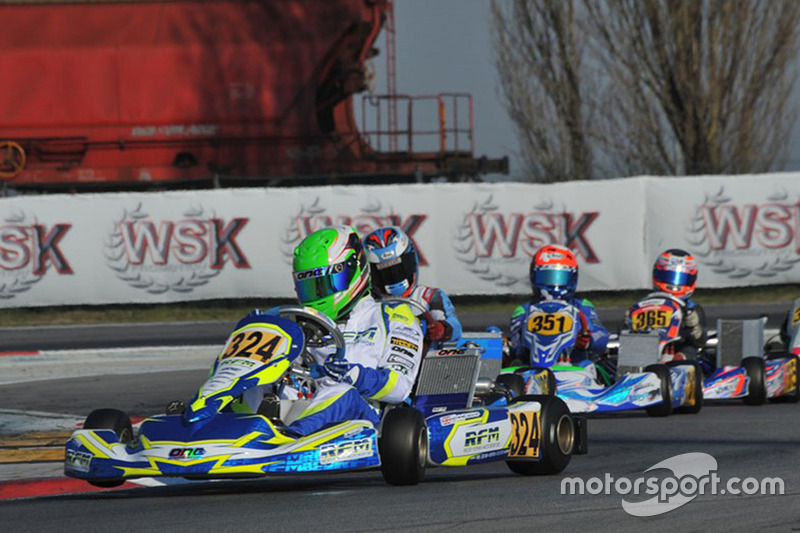 He won the season opener WSK Champions Cup and remained a constant race-winning force. 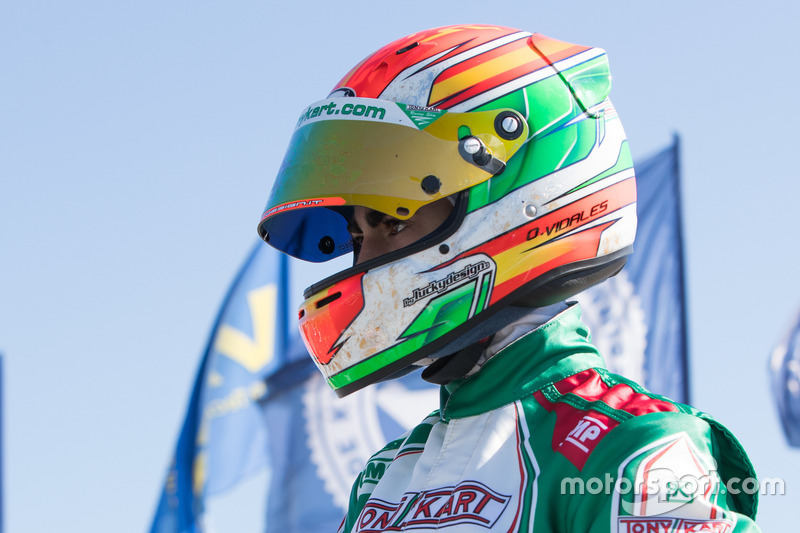 Since the autumn he has been focusing on a full-time single-seater switch by racing in the UAE F4 series. He is looking to take part in British F4 next year and, having already tested with perennial frontrunners Carlin, Sargeant is definitely expected to challenge for wins from the very beginning.